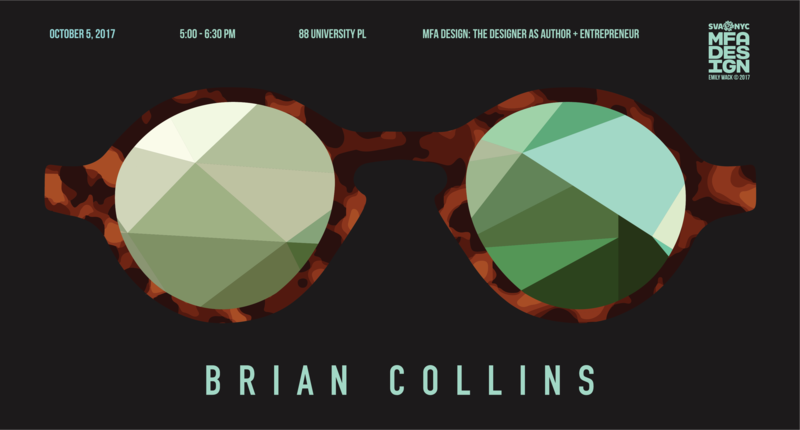 Today is a special visit to sabbatical-taking faculty member Brian Colllins, founder of Collins: an independent, brand experience design company. That designs products, environments and communications that transform brands, drive business and improve people’s lives. “We do it by putting imagination at the center of everything we do,” says Collins. He is also one of MFA Design’s veteran faculty members and an expert at getting to the heart of the students’ entrepreneurial core.